Join us for a range of FREE family friendly workshops. No tickets required, just turn up and take part. Join Bootleg Puppets and discover how shadow puppets are made. Have a go on our puppet stage, and even make your own to take home with you. Cartoonist Nick Shingler uses his published drawings to show how scribbled roughs can become a finished printed piece. 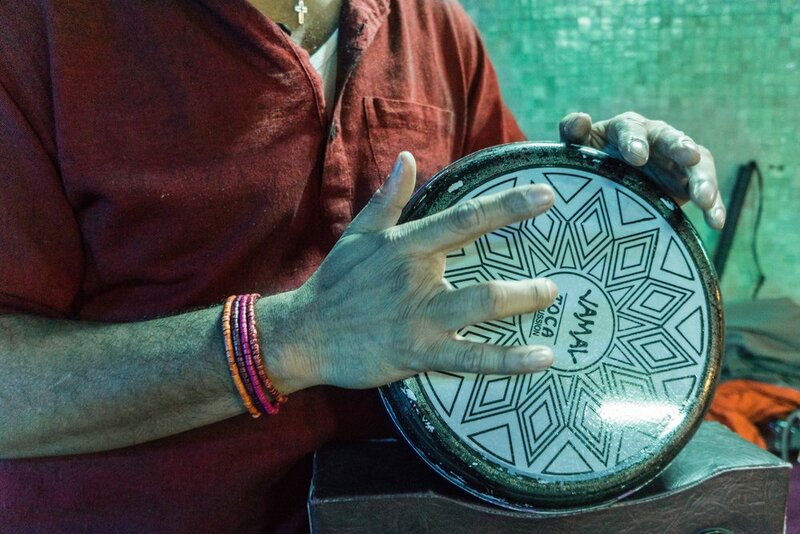 Led by Mahendra Patel, these hand drumming workshops will culminate in a short performance. Bring your own drums or use the ones provided.